This week I went to Amsterdam to visit the Anne Frank House with my family. I’ve seen it a few times from the outside and always wanted to visit it. My parents promised my sister and me to go when we would be old enough and understood the Second World War. That time was last week! The Anne Frank House is a museum divided in two parts. One part is the original house with the Achterhuis (The Secret Annex) where she lived while hiding. The other part is the modern museum with mostly information about Anne and her family, the house, what happened and also her diaries. The route through the house came first through the “normal” part of the house, after the bookcase you see on the picture began the Secret Annex. There were the rooms where the mainly stayed. The rooms were not that big, especially not for 10 people. It was difficult to imagine how they lived in the Secret Annex since there were no furniture in the rooms. Past the Secret Annex, there was the modern museam again with the diaries, quotes and movies. Also there were the stories about what happened with the residents of the Secret Annex. After our visit to the Anne Frank House, we walked through Amsterdam. We went to some stores and we ate there. We did not really go to sight seeing things, because we’ve been to Amsterdam a few times already. We had fun and it was a nice day. Also the Anne Frank house was very impressive. First of all, even though I call it my everyday makeup routine, I don’t wear this everyday. Mainly because I prefer laying in my bed longer than doing makeup at 6 am. I’m going to show you today what I wear mainly when I wear makeup and what products I use. Let’s start! 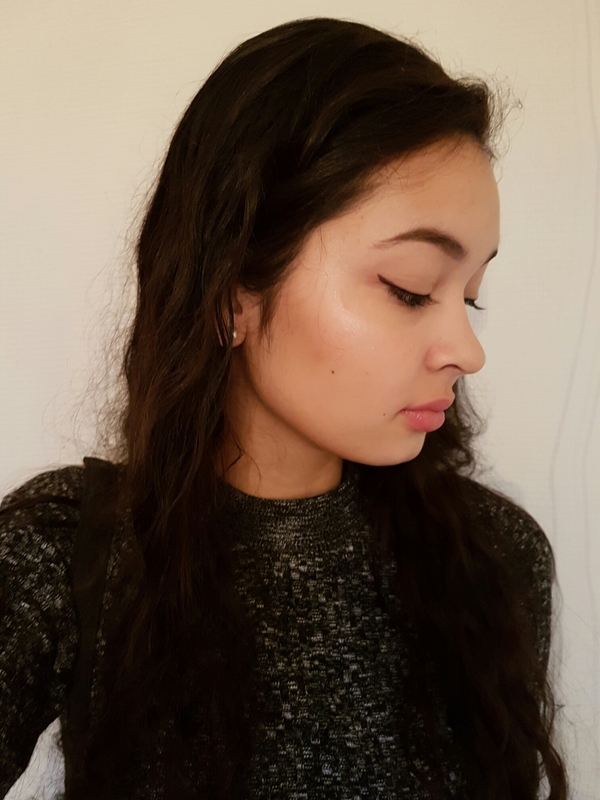 I start with some liquid highlighter by MUA on my cheekbones. 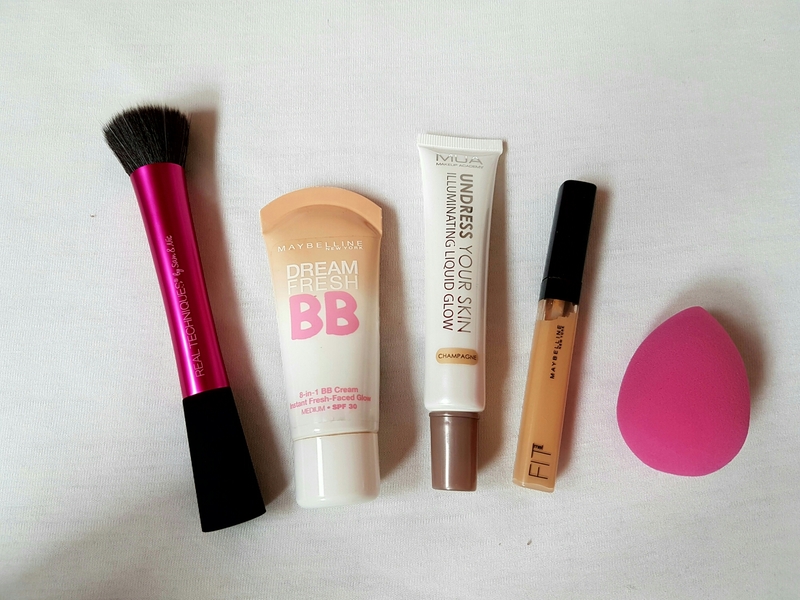 For my base I use the Maybelline Dream Fresh BBC Cream, I prefer this over foundation. I apply this with a Real Techniques Stippling Brush. Under my eyes I use the Maybelline Fit Me concealer. When my face is done, I take some of my broke Essence Matt powder. 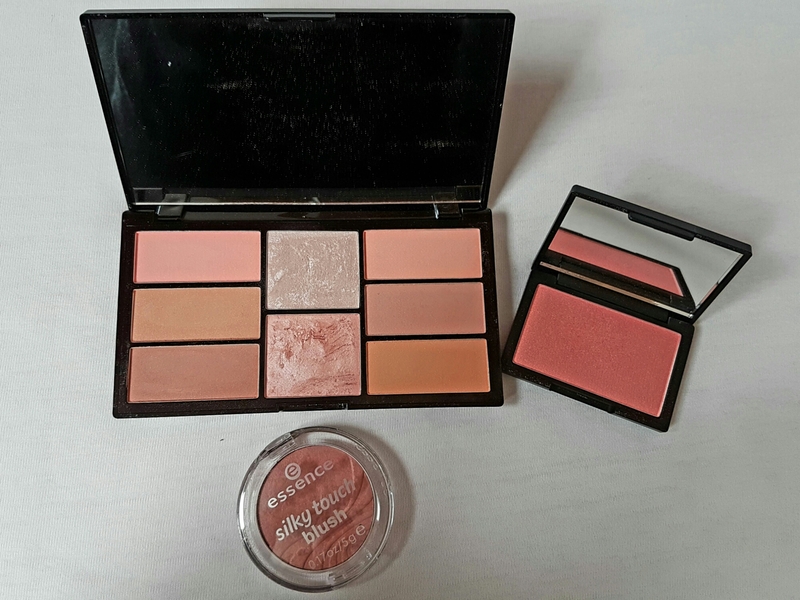 After that I use my Makeup Revolution Ultra Contour Palette to contour and highlight. For blush I choose one of these. Mostly the color down in the middle of the Freedom Blush Palette. I also love the Sleek Rosegold Blush. For eyes I use the Essence superfine eyeliner pen to make the line on my lash line and the NYC high definition eyeliner to make the wing. 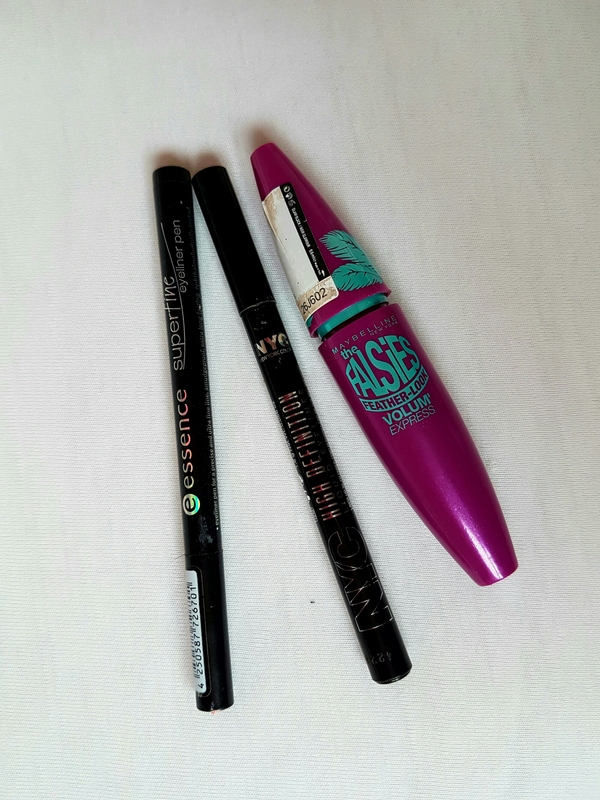 I finish it with the Maybelline Falsies feather look mascara. Last but not least… eyebrows! 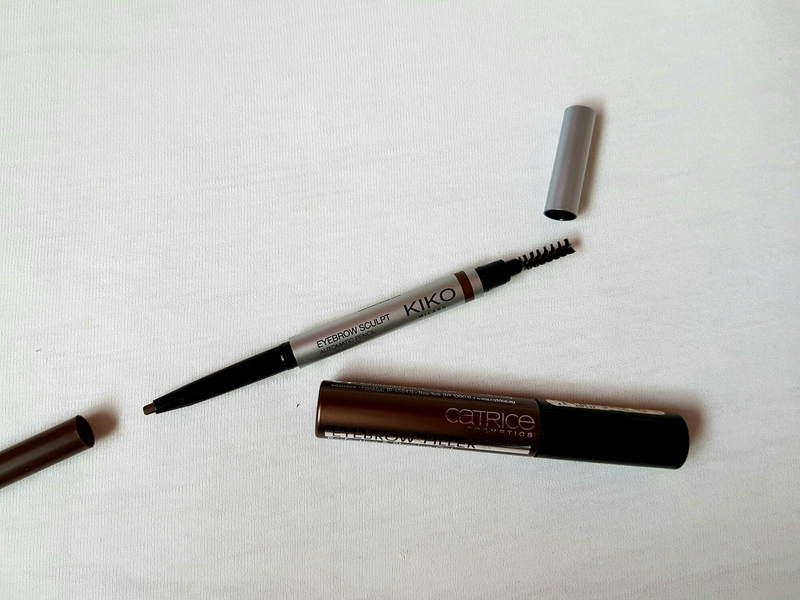 For that I use the Kiko Eyebrow Sculpt Automatic Pencil. To keep my eyebrows in place I use the Catrice eyebrow filler. I hope you liked it! Thank you so much for reading! 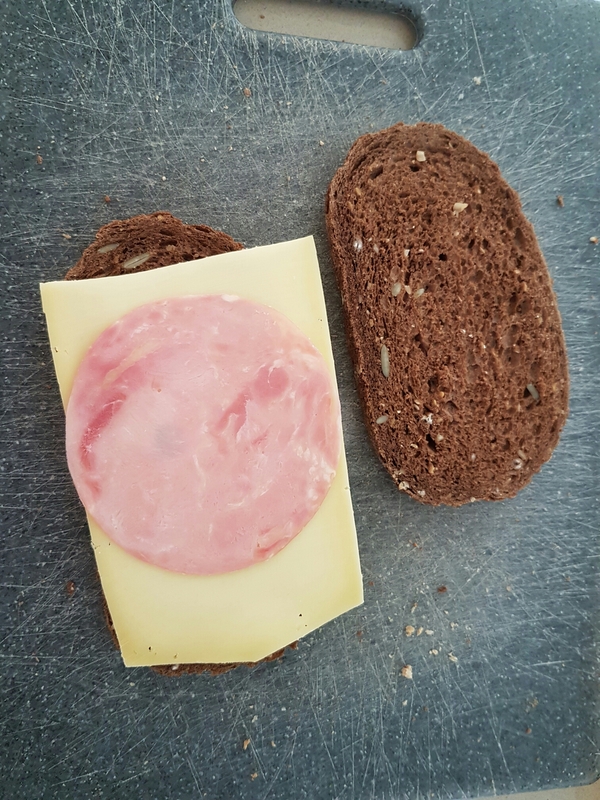 In the Netherlands it is a habit to eat bread with something like peanut butter or cheese on it as lunch. But I am more a fan of sandwiches. I’ve got a few that I really like and often make, so I’m going to share them with you! It’s very simple. 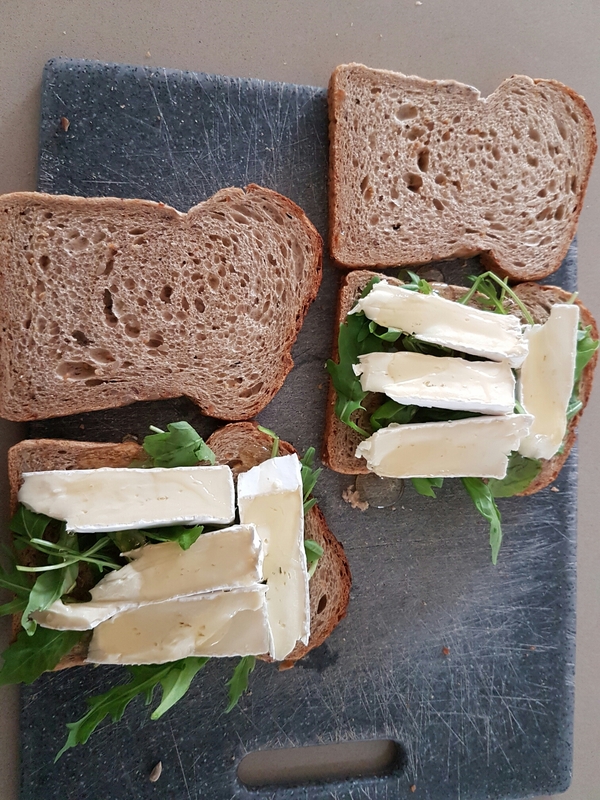 You put some arugula on the bread, on top of that as much brie as you like and on top of that you put some honey to sweeten it a bit. Than you put the other piece of bread on top of that all and you put it in the sandwich toaster. When the bread is crunchy the sandwich is ready! On the bread you put some Pesto, a slice of chicken and a tomato with Mozerella on top. Then you put the the sandwich in the toaster and there you have a Mozerella and tomato sandwich! 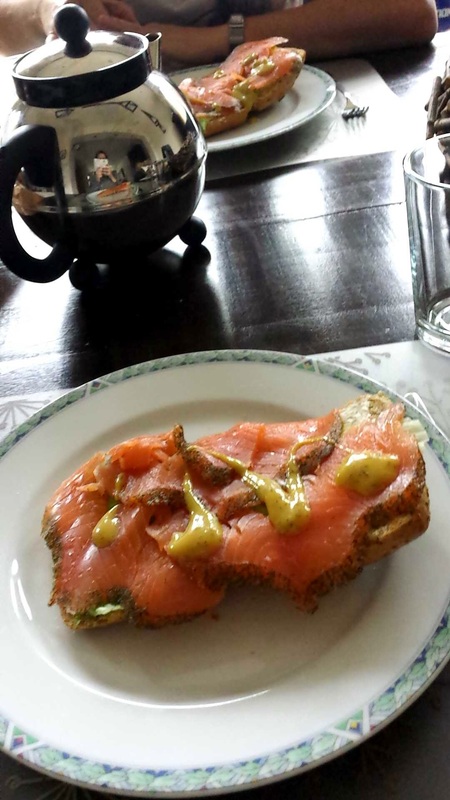 On the bread you smear some cream cheese, on top of that some lettuce, salmon and sauce. 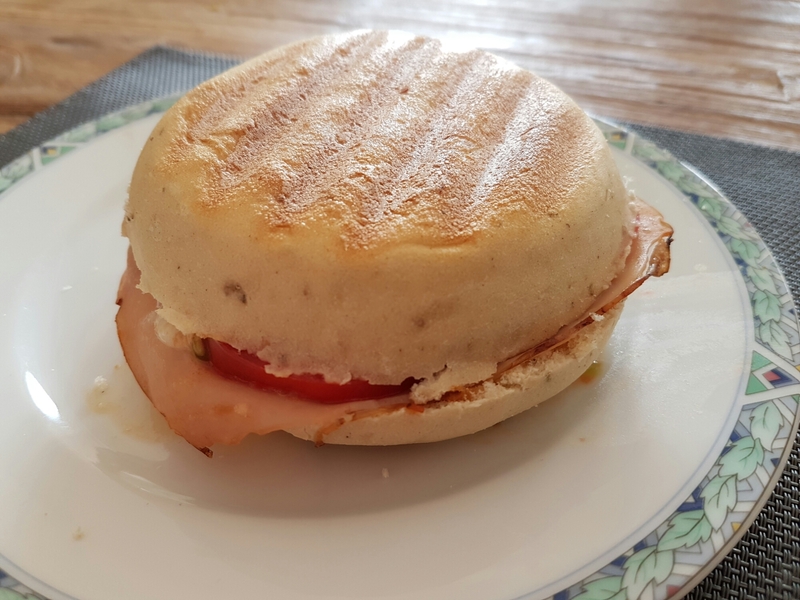 Very simple but delicious sandwich! 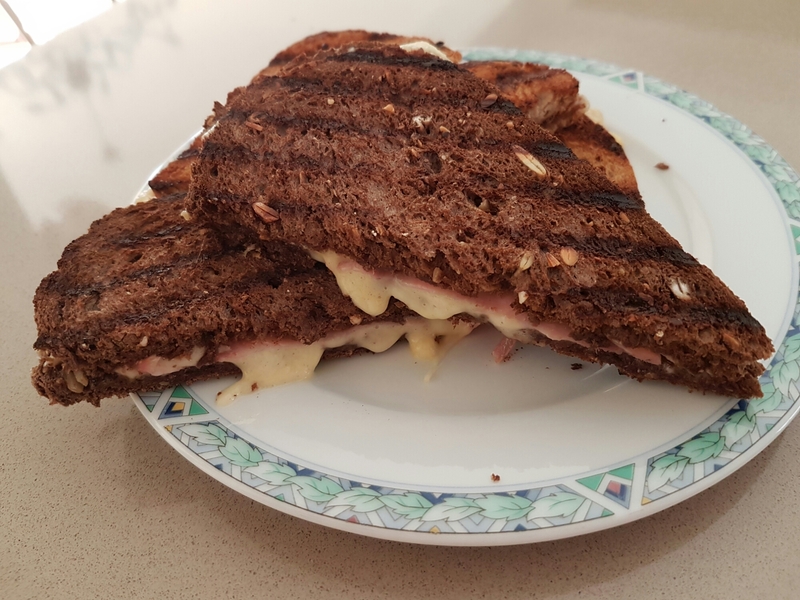 You lay the cheese on the bread and on top of the cheese you put a slice of ham. 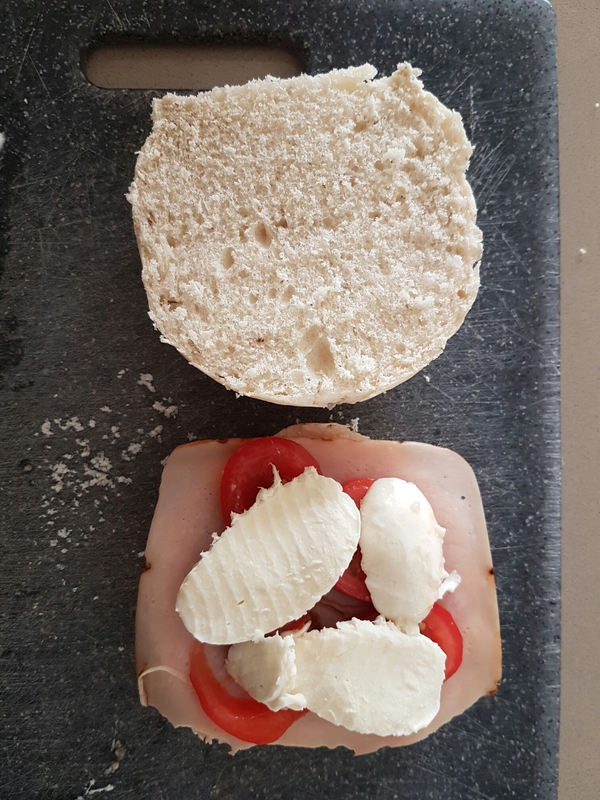 The cheese that is falling out of the bread, you can wrap around the ham. Then you put the other slice of bread on top of everything and put it in the sandwich toaster. When the bread is crunchy and the cheese is melted, your sandwich is ready! Enjoy! I have some different ways of making this sandwich. 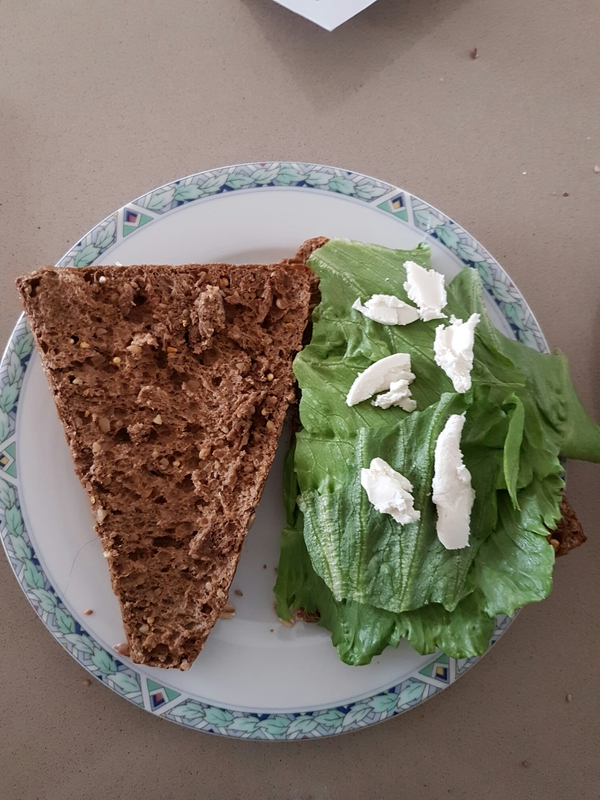 The first one is the simple Goat Cheese sandwich: bread, lettuce, goat cheese and honey. The second one is more comprehensive (Google translate says it’s the word that I was searching for so okay), I will describe that one below. 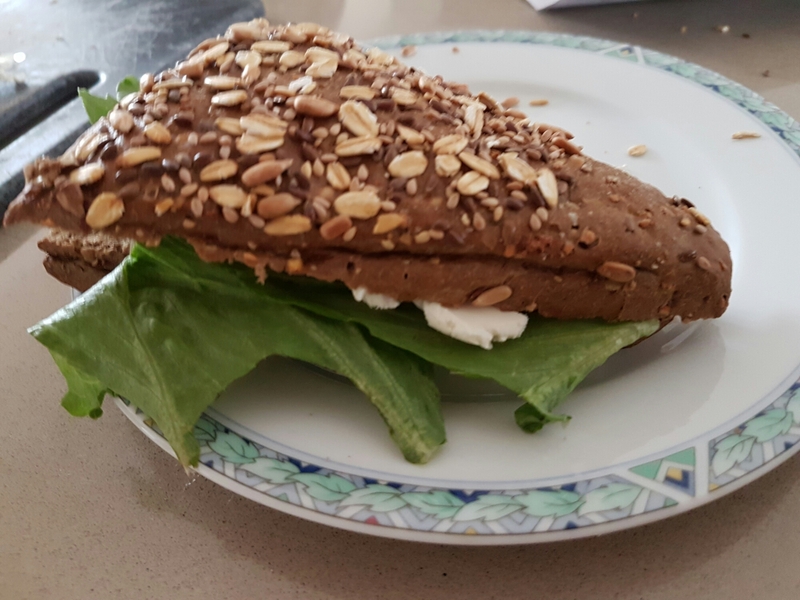 Bread/sandwich, I like a dark one with some seeds. Okay so on the picture above, you see the simple version. But it’s is almost the same, the only difference is that you have to put more things on the second sandwich. Oh and I like to warm up my bacon en goat cheese in the oven before I put it on my bread. 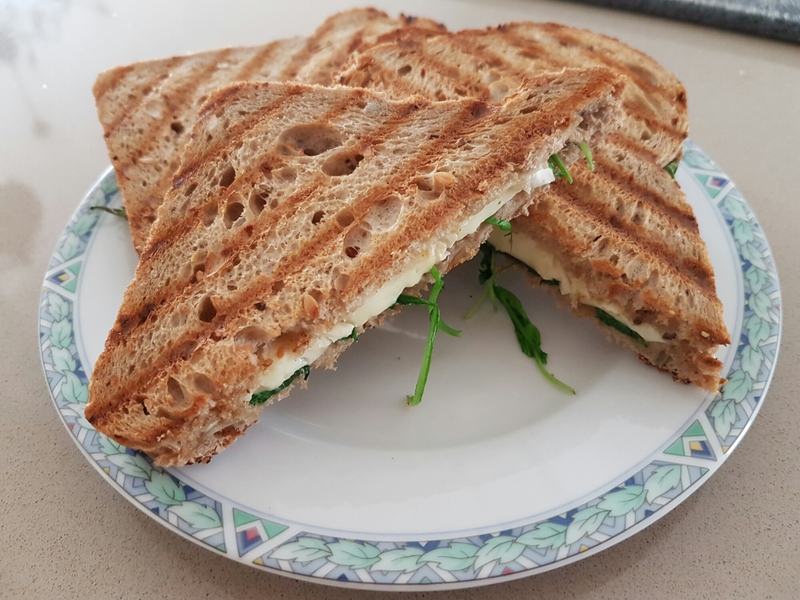 Here is the better version of my goat cheese sandwich! Very delicious with a latte machiatto. I hope you have some inspiration for sandwiches now! A few days ago I went shopping with my friend. Actually I was looking for some higher boots and a winterjacket, but of course I could not find what I wanted and ended up in the Primark. So I bought some stuff that was not really necessary (but also it is so yeah). Let’s start with what I bought at Primark. First I saw this big glitter eye cream palette and you never know when you need some glitters right? The makeup brush cleaner also came handy because I always struggle with cleaning my brushes. And the big fluff keychain ball was something I really needed because I always lose my keys. This thing is so big it’s impossible to not find it in my bag. Here is a close up of the glitter palette. I’ve tried some of the colors on my fingers, and in the container it feels really creamy and then on the finger it becomes chunky. 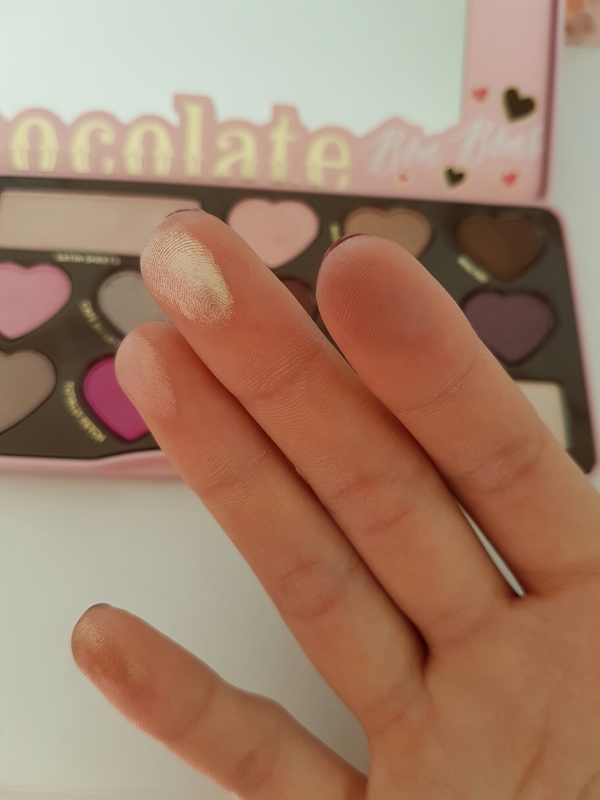 It is not amazing quality (there sticks more to your finger than to your eye or arm when you try to wipe it there), but it is not that I expected that to be honest. I also purchased a new fake beautyblender at a random store, a new eyebrow pencil form KIKO an a liquid highlighter from Makeup Acadamy. The eyebrow pencil from KIKO really looks like the Anastasia one by the way! I really like it! That was everything I bought that shopping day (and a black longsleeve shirt that I’ve forgot to photograph). Oh and I’ve found long black boots some days later! After visiting the school we still had a lot time to go to the city. So we walked around, had a lunch, visited some stores and we went to the Dom (a big kathedral). I had a very fun day with my parents! An impression of Utrecht. The first pictures really reminds me of Amsterdam. And the second picture is a picture of the Dom. I had to take a picture of all the amazing Lush products. I love it so much, but for me it’s useless to buy the bathbombs because we don’t have a bath :(. The picture on the right is the Pepernotenfabriek, a store full with pepernoten (it’s a dutch candy). It was amazing! That were a few picture of my day in Utrecht, I really enjoyed it! Thank you very much for reading and have a nice day! A few days ago I made a post about my morning skincare routine and about how important it is. But you can’t have a perfect skin without an evening skincare routine! 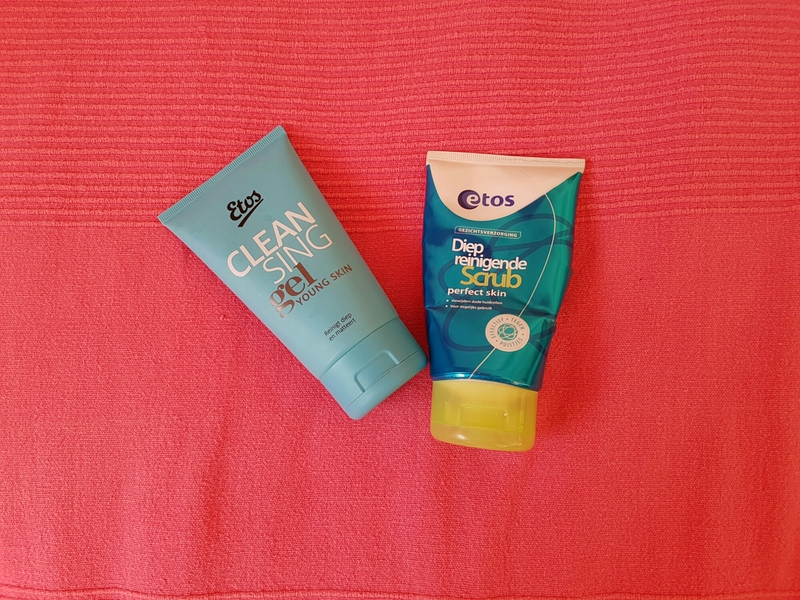 In this post I’m going to show te products that I use (for dry and sensitive skin). Some products that you will see, I don’t use everyday. It depends mostly on if I have worn makeup that day or not. 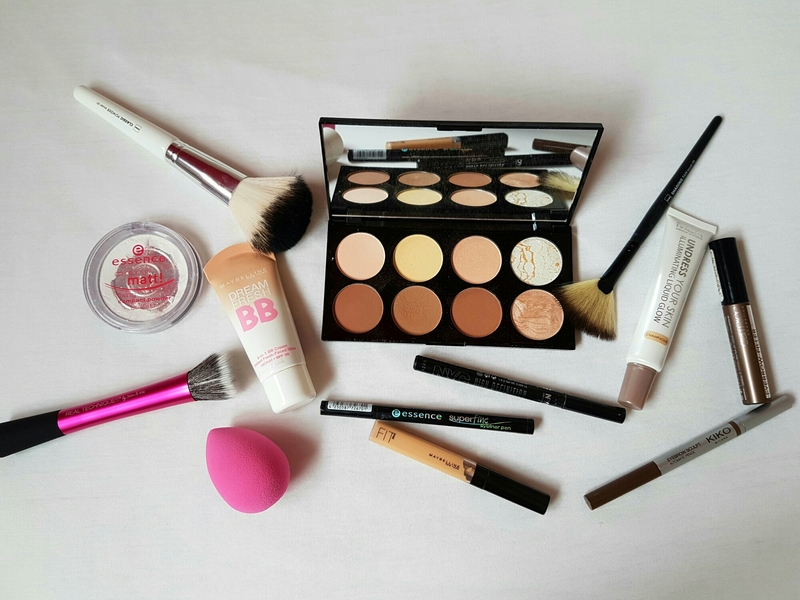 If I have worn makeup that day, I will take that off with these products. First I take my eye makeup of with the eye makeup remover (the bottle on the bright), this is oily based and very basic. (That’s why everything is off the bottle, because of the oil). Then I take my face makeup off with the cleansing milk. I put all this products on a damp cotton pad. I always clean my face with the cleansing gel. The only time I don’t use that is when I use the scrub. I use the scrub 2 or 3 times a week, mostly on my nose and forehead. The last step is cleaning my whole face again with my tonic, to make sure all the products are gone. When my whole face is clean it is time to moisturise! For this I use a night cream of Nivea for dry and sensitive skin. When my skin is really dry, I use some jojoba oil instead. That’s everything I do and use to keep my skin as healty as possible! Thank you very much for reading and have a nice day! 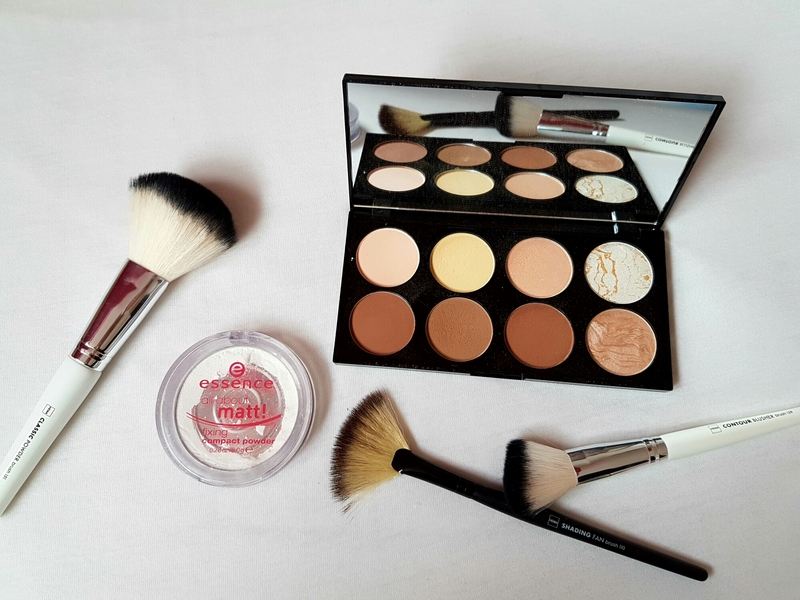 Recently I’ve posted a blog where I showed my new makeup purchases. 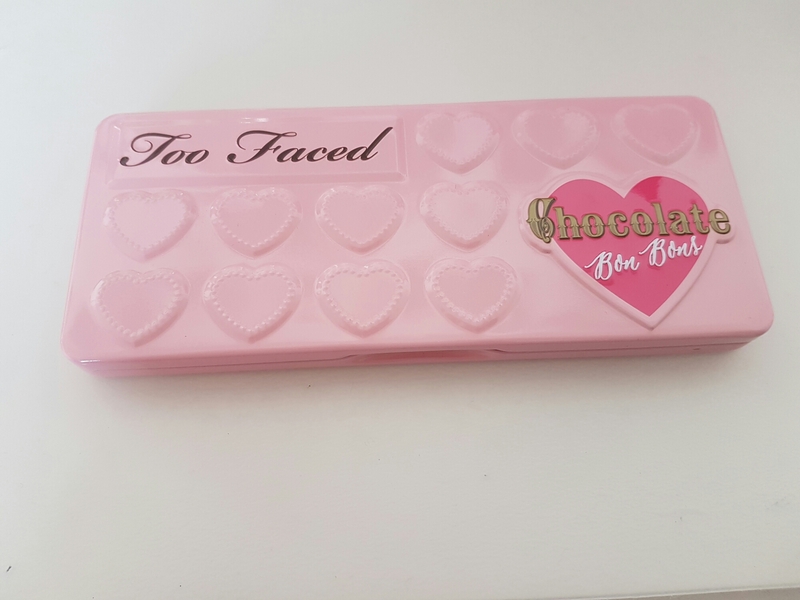 The review of the NYX Soft Matte lipcreams is already online, so now it is time for the Too Faced Chocolate Bon Bons Palette! *this is my first product of Too Faced, so I can’t compare it to other products of them. Also this is my second high end eyeshadow palette (I own the Urban Decay Naked 2 palette), but they don’t really look a like so can’t compare it to that one either. I really like the pallet. 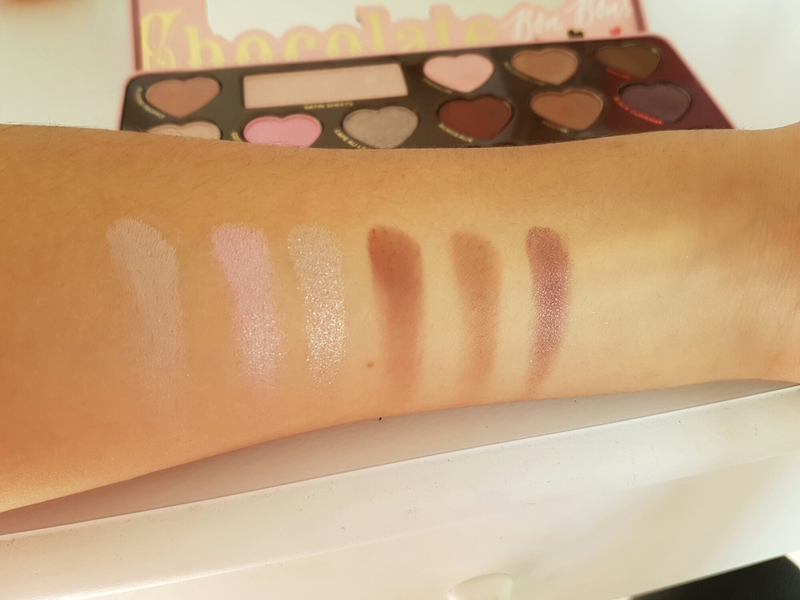 As I’ve already mentioned in my post about my new makeup, I was looking for a more colorfull palette with less natural colors. I love that it contains some pink colors, and also that the outside is pink. The most exciting thing is that it smells like chocolate, it’s amazing! Also, I like colors that are cool toned, and this is a cool toned palette. So keep that in mind. I’ve made swatches off all the colors, they are all pigmented, especially the colors that contain shimmer. Only Cashew Chew and Pecan Praline were less pigmented on my skin. Satin sheets was so pigmented and shimmery. After one swipe on my arm my whole finger was still glowing! Besides swatches, I’ve also made two looks with the palette. Both are wearable for everyday in my opinion. I’ve created one brown eyeshadow look, and one pink look. I wanted to make a nice soft pink eye look, but the color Totally Fetch was so bright! So I decided to use the two other pink colors. And some winged eyeliner and mascara to finish the look! And again some winged eyeliner and mascara to finish the look. 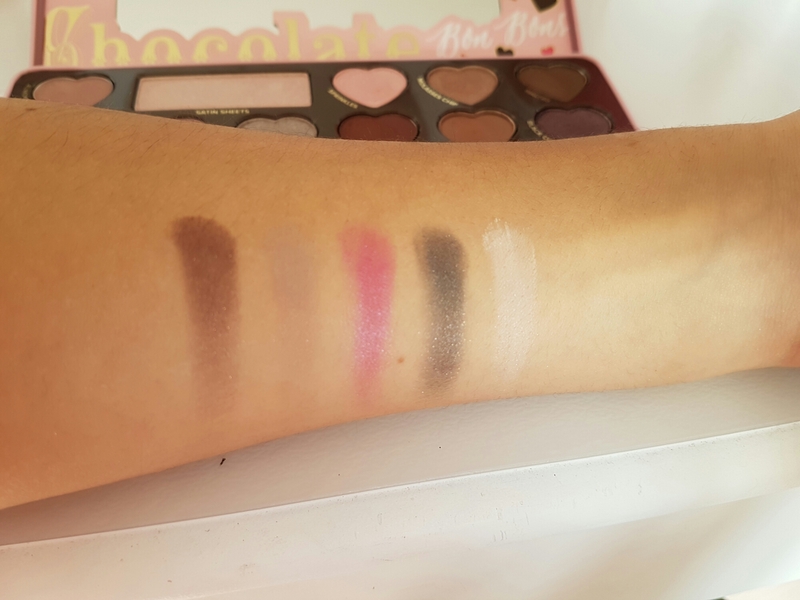 The palette is perfect for an everyday look, but also for a more smokey or colorfull look! 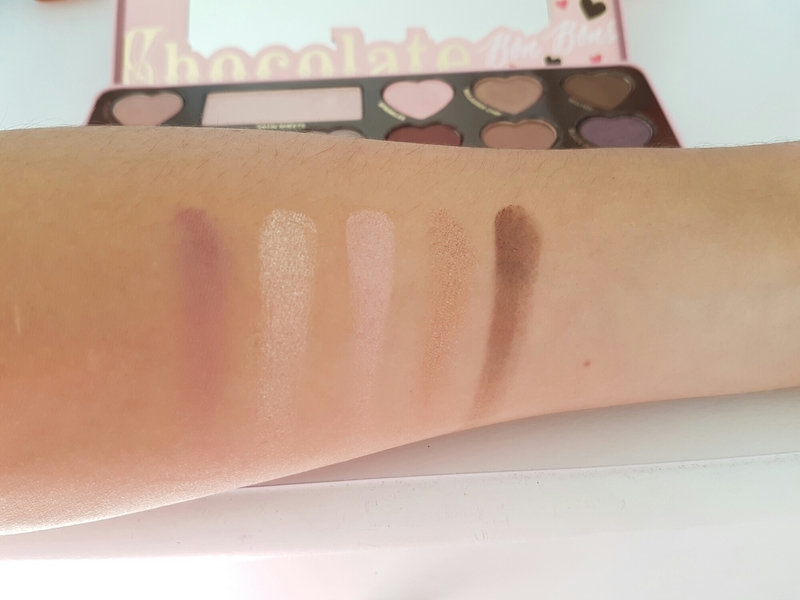 So if you are looking for a palette with brown but also some different colors and that smell like chocolate, the Bon Bons palette it is! Thank you so much for reading, I hope you have a nice day! This summer my boyfriend and I went on a vacation together to Tenerife. Tenerife is one of the Spanish Canary Islands. It is a very beautiful island, but also very touristic. Tenerife has a lot of different sides. The north of Tenerife is very green and a bit ‘colder’, while the south is more dry and warmer. Also it is an vulcanic island, because of that there are parts where the beaches are more grey/black. We stayed in the south of Tenerife, in Adeje. It was touristic, but not as touristic as Las Americas, a very crowded beach. There was a beautiful beach and a place with lots of stones in front of the hotel. And the sea was so blue, it was wonderfull. There is more to do in Tenerife besides laying on the beach. So you can have a active vacation or a relaxing vacation at the beach. Our vacation was a combination of it. We’ve visited the vulcano El Teide, the Masca Valley, the capital Santa Cruz de Tenerife, Siam Park (a water park) and Playa de las Teresitas (the first picture). We went to everything by bus, because we were to young to rent a car. It was possible, but we wanted to go to some places that were really hard reach by bus. So if you want to see a lot, I would recommend going to Tenerife when you are 21+. But even though we couldn’t hire a car, we still saw a lot and had a great time! That were some pictures of the beautiful island. I really enjoyed this vacation, I wish it could be summer again because it is so cold right now! Thank you so much for reading, have a nice day! Skincare is a very important step if you want healty and beautiful skin. The key is that you have to use the right products for your skin. So if you have a dry skin, you use products for a dry skin and not for a oily skin. Also don’t use to much different products, less is more. By this I mean, not scrub and cleansing gel and a mask in one day. You have to be nice to your skin. I’m not a professional ofcourse, but this is what I believe. Personally I have a dry and sensitive skin, that’s why I don’t like using to much products on my skin all in one day. Also I am very lucky to have a clear skin, the only problem I have is that I have dark circles that I hate. Sadly it’s genetic, so the only thing I can do about it is use concealer. But the skin under my eyes is very dry, so when I use concealer you see it in the lines. For that I use and hydrating eye cream. In the morning I use a tonic, a daycream and an eye cream. I always shower in the morning so my skin is already a little bit clean, but to clean it more I use a tonic. 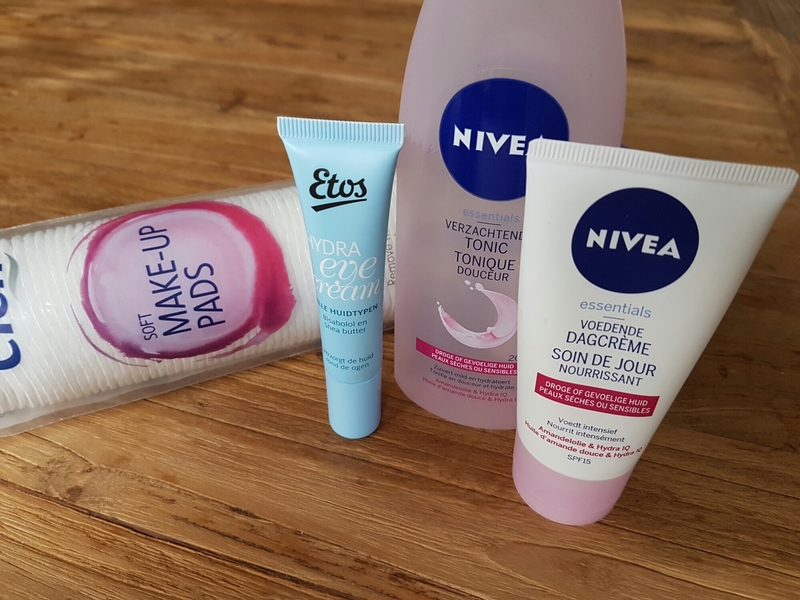 The tonic I use is from Nivea and is for dry and sensitive skin. I always mix my tonic with some water on a cotton pad. After my face is clean, it is time to take care of it. 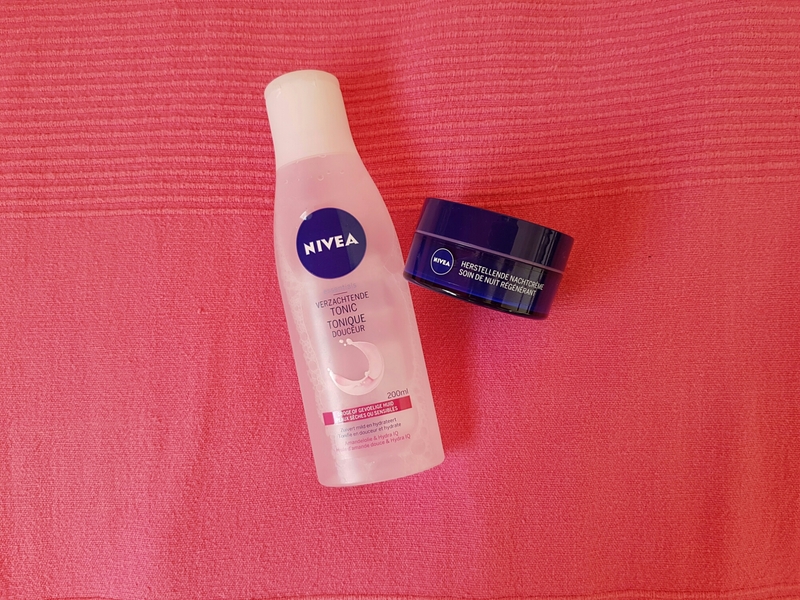 For my face I use this daycream, also by Nivea for the dry and sensitive skin. What I like about this cream is that it contains SPF, so it protects my face for skin damaging by the sun. 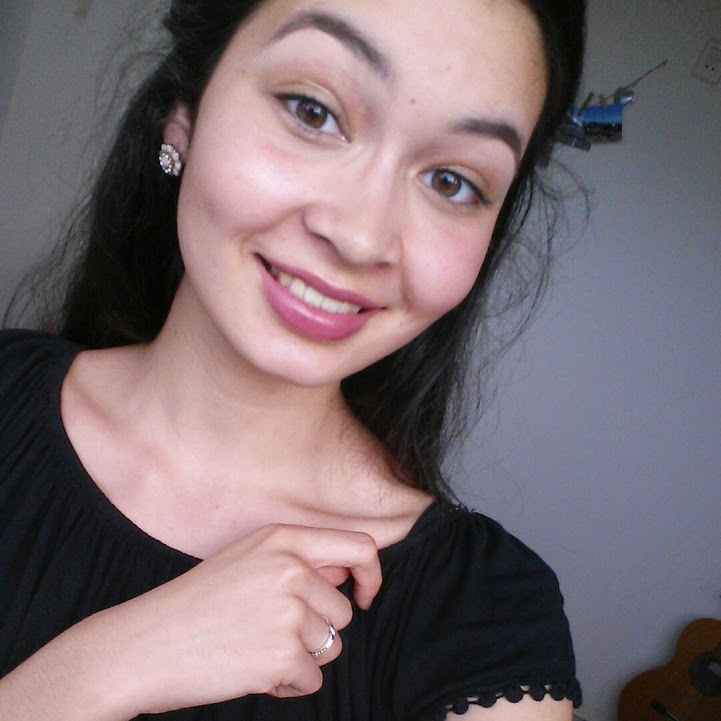 Only, because of that my face is always pale while my arms are tanned. Under my eyes I use some hydratin eye cream from Etos, this is a Dutch drugstore. That is all I do in the morning to keep my skin healty. I also take care of my skin in the evening before bedtime. I will talk about that in another blogpost that I post later this week. Thankyou so much for reading and visiting! I hope you have a nice day! This summer I went on a trip with two of my best friends. We booked our four day trip at srprs.me. This is a Dutch travel agency where you can book surprise trips. We were really in for some adventure, so we decided to do this together! When we were on the airport, we could finally find out where we were going to. And our destination was…. PRAGUE, Czech Republic! I was really excited, because I’ve never been there and it is also a city that never really came to my mind. We had a great time in Prague! The city was beautiful, full of culture. But there were also a lot of fun restaurants. It’s a young and lively city and there is a lot to do. I found it very hipster, but I like that! Also the architecture is beautiful! We also went on the river (the Moldau) with a boat. That was really fun to do! I really enjoyed Prague, and my friends and I had so much fun! I would really recommend going there for a citytrip. It isn’t an expensive city at all, it is something different than Paris or London and if you love beer, Prague it is! They really love beer there haha. I hope you enjoyed the pictures and reading. Thank you so much for visiting!